Entry Level Never Looked so Good! 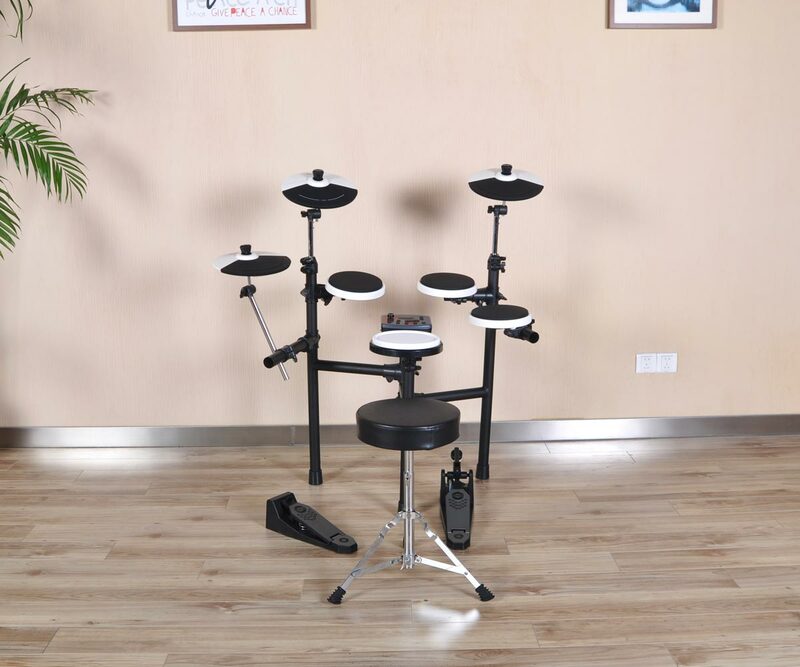 The Hitman HD-3 portable electronic drum kit has a compact footprint and a folding drum frame design to allow for quick setup, break down and maximum portability. 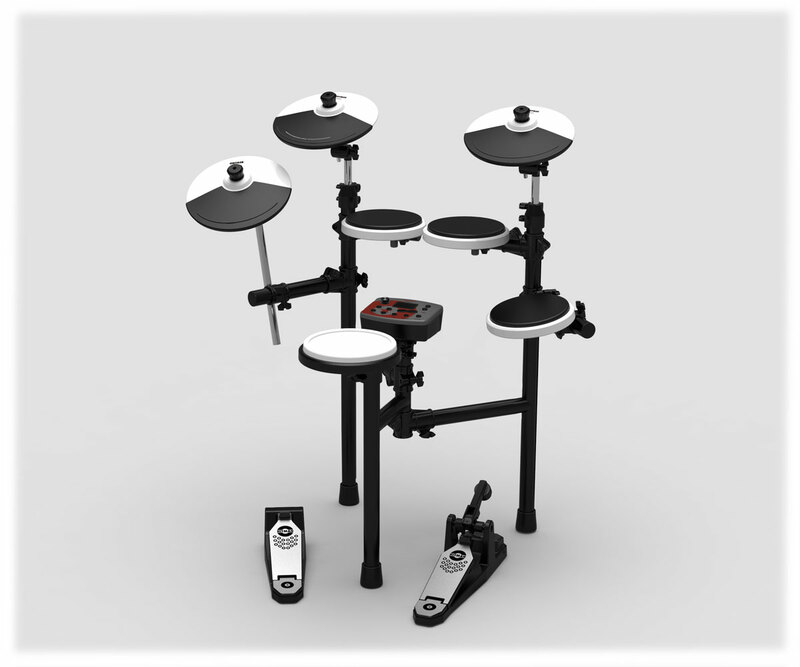 It is the perfect kit for the drummer on the move and for small areas. If space and portability are a concern, then the HD-3 is designed especially for you. 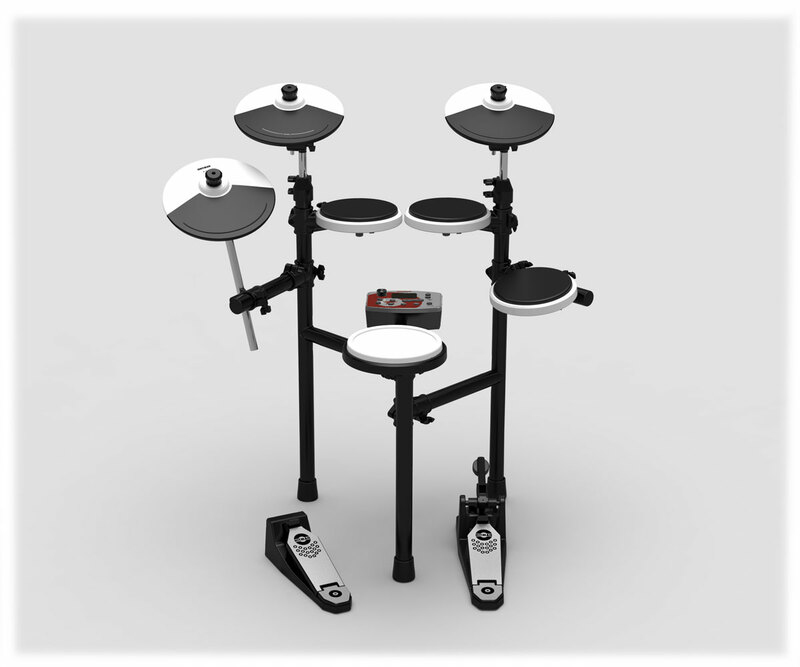 The Hitman HD-3 Portable electronic drum kit gives you a small footprint and a folding design for easy storage and quick setups. If you need to transport or setup and breakdown your drum kit quickly and easily then the HD-3 is the perfect drum kit for you.It is great sounding, light weight with a compact footprint and roommates, family and neighbors will love that it is quiet and so quick and easy to store. 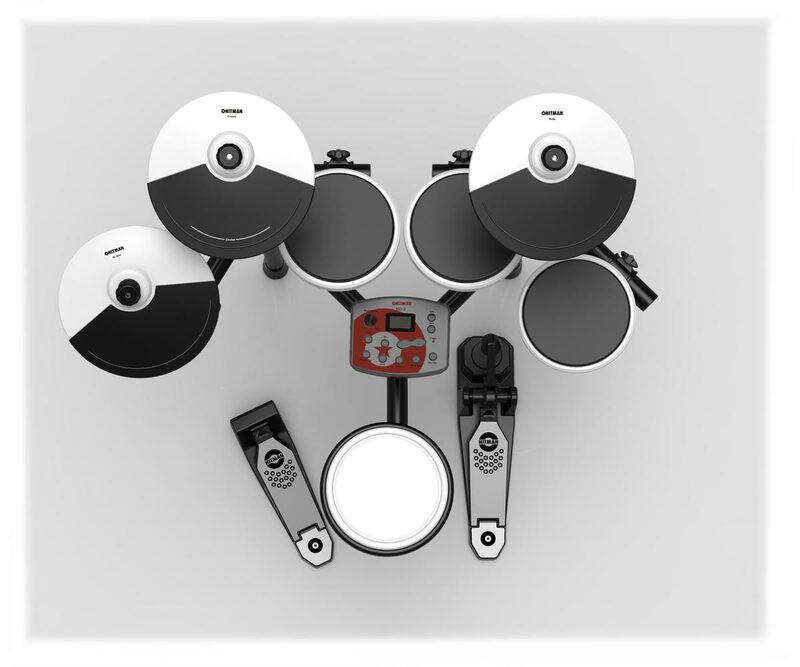 If space and portability are a concern for you then the HD-3 is the perfect drum kit for you. Perfect for an apartment, condo, dorm or anywhere that space and noise are an issue. The powerful sound module delivers a broad range of expressive sounds and practice features and the pads give you satisfying feel and playability. The Hitman HD-3 performance and features plus amazing portability make this kit a knock out at any price. The HitmanHD-3 has 193 Drum Voices, 10 Preset Drum Kits with 1 custom user kit and 10 play along drum patterns. You can control the mix of the Play Along drum patterns with your playing volume. The Drum Module offers incredible sound realism with its acoustic sound sample processing. It records the actual acoustic drum or percussion instrument capturing their depth, expression and essence. The HD-3 offers drum pads of various densities of rubber playing surface to cover the pads that reduce vibration kickback and ensure a more acoustic playing feel. The snare drum is also dual-zoned for two-sound compatibility. You hear the snare drum when you play in the center of the pad and a rim click when you hit the edge of the pad, just like you would on an acoustic snare drum. In addition to being so portable and folding design the Hitman HD-3 Kit mounts on a heavy-duty aluminum frame drum rack that is thick, and strong, yet light weight.It comes with a full set of mounting hardware, cables, rugged kick drum, and hi-hat pedals. The HD-3 has a built-in metronome, and a built-in recorder plus drum patterns to play along with so you can record your performances for later review. It also includes an input jack for connecting, smart phones, tablets, laptops, MP3 players, and other audio sources so that you can play along with your favorite songs through headphones or an amplifier. The USB port allows you to connect your iPad or laptop to the drum module to use with the hundreds of available Apps or your favorite software for an endless collection of sounds and musical possibilities. It’s a fun and easy way to learn how to play. The included iOS (iPad) Hitman Drum App will improve your drum performance by visualizing which drums to hit and when to hit them while playing along with popular rhythms. It has different game screens and accuracy settings. Learning to play Drums was never this much fun before. • Display: Multi-Function LED Display.